A good ending for a good series I enjoyed watching very much. Wow, just wow. Although the course of this episode was somehow predictable it was none the less very impressing, like most of this series. With only Misaki and Sato left the feeling of loneliness and despair was very heavy this time. Finally there is thrown some light on Misaki’s past and the depth of her mental wounds. With the given hints through the series one could figure out some of it, but none of the characters (especially Sato) bothered to dig deeper, most likely because they had their own problems to handle, which now avenge itself. By the way, I think the given solution for the hikikomori-problem is a bit too easy (whereat I would say that Sato has more like a “light” version of hikikomori). Very interesting and absorbing anime, I’m looking forward with anticipation to the last episode. 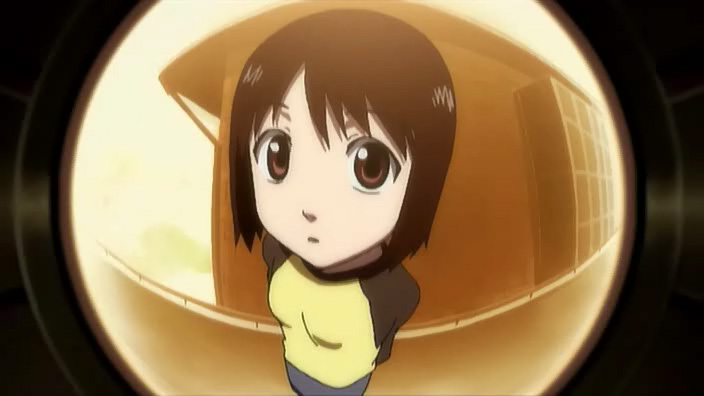 You are currently browsing the archives for the Welcome to the NHK! category.